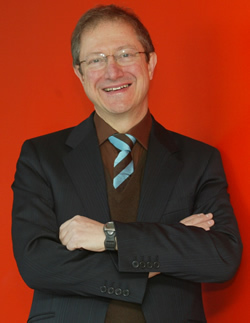 Dr. Davis is a known throughout the world as a scientist and researcher with a list of over 200 referred publications. He has been the principle investigator in numerous national studies concerning hearing, tinnitus, balance, and rhinology in both adults and children. He and his colleagues completed a national study of hearing that investigated the prevalence of deafness and lifestyle influences impacting the hearing impaired in England. His total research and development program grants for the last three years alone total over 45 million British Pounds. He serves on the managing Council of the International Journal of Audiology and he is a frequent attendee and speaker at the Academy’s convention—AudiologyNOW!—the ICA, and in Asia, Europe and South America. It goes without saying that Dr. Davis exudes a strong sense of community and has been proactive for the profession of audiology and the patients we serve. He has been chair of the British Society of Audiology and a council member of the International Journal of Audiology. He is also an elected fellow of the Royal Statistical Society, the Faculty of Public Health of the Royal College of Physicians and the Royal Society for Arts, Manufacturing and Commerce. Dr. Davis is so well respected and appreciated in his own land, that Queen Elizabeth II awarded him the Order of the British Empire. With such a notable background, one can clearly understand why Dr. Davis would be a logical recipient and much deserving to the Academy’s International Award for Hearing, and he would do us honor to accept it.